Lions offer the largest of variety of designs for the figural press collector. 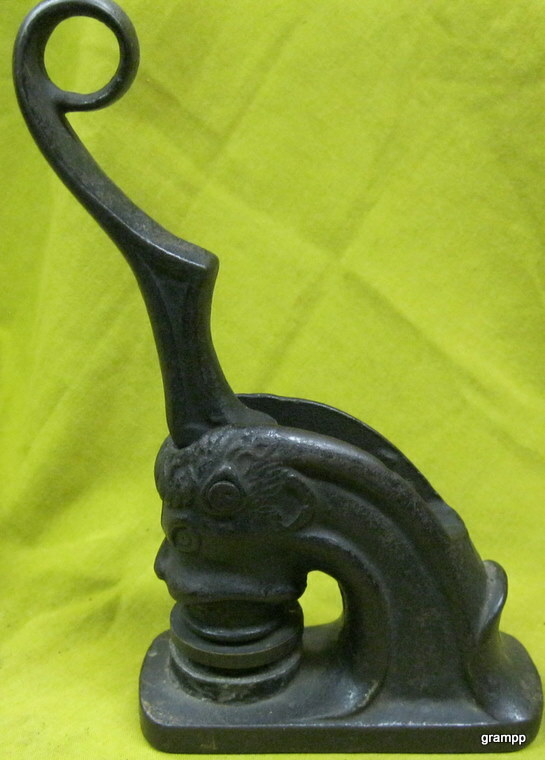 Lions range in size from the looped handle which weighs 2 pounds and stands just 7 inches tall with the handle up, to the largest ot the 1904 style which weighs 37 pounds and stands over 23 inches tall. 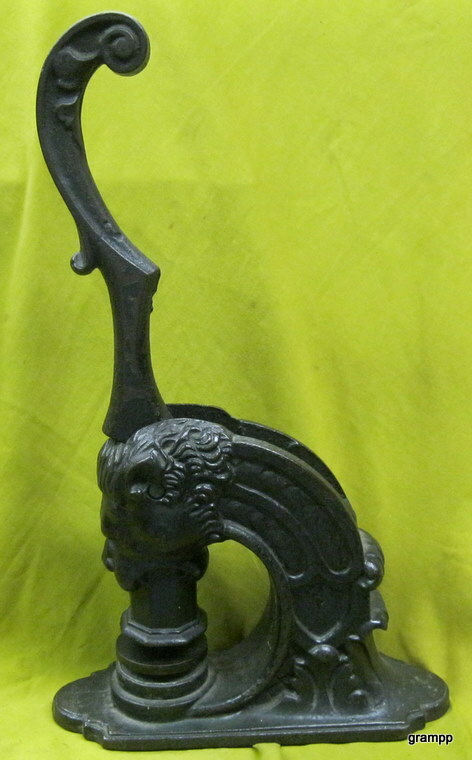 This looped lion has design features of the early figural presses like those made by Evens and Hall. It may date from the late 1850's, but none of the seals offer information as to the probable age. This Lion has a shield design on the neck. This press was advertised by Warren Richards of Cincinnati Ohio in 1874.